Easy and powerful DVD Toolbox. Meet all your DVD needs. Burn videos in 150 formats to DVD/DVD folder/Blu-ray DVD folder/ISO/Blu-ray disc, like MP4 to DVD, MKV to DVD, AVI to DVD, and more. - Adjust transition settings, add background music or text, set photo duration to personalize your photo slideshow. - Add, delete, rotate, and arrange as many photos as you need, and adjust photo order. - Burn your favorite photos and videos into one DVD. 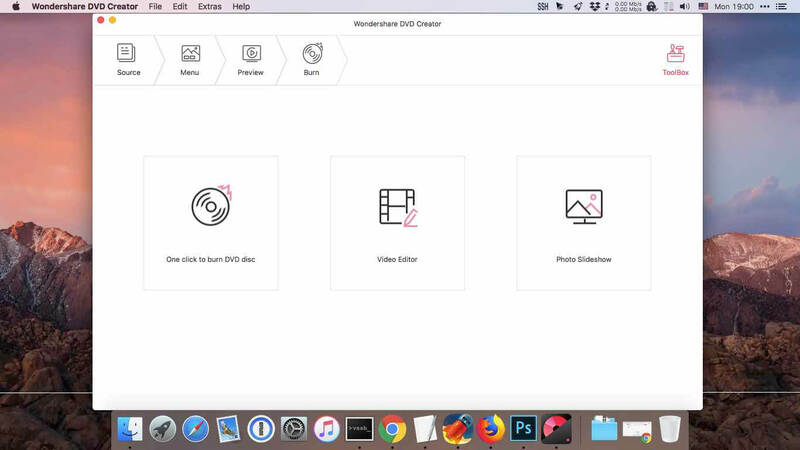 Beyond DVD burning software, Wondershare DVD Creator also provides 5 useful tools making it the best value of money DVD burner. 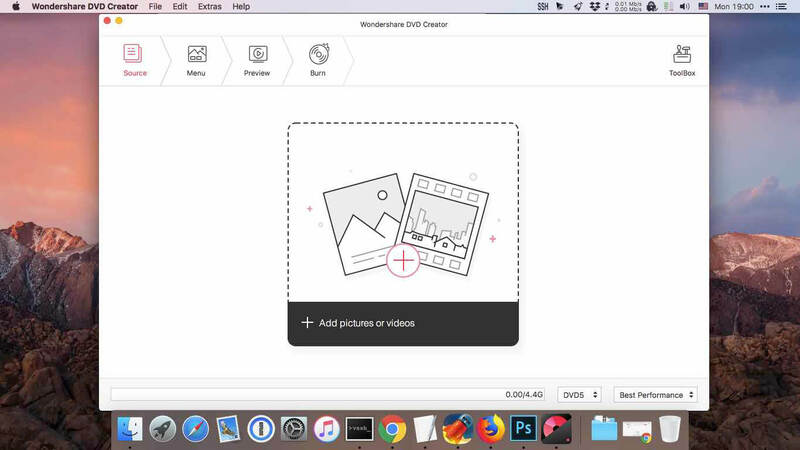 We’ve added new features to Wondershare DVD Creator 5.0, which not only provides smoother user experience for DVD Creator, but also offers many userful DVD tools to meet your different DVD needs. We have offered more free static and dynamic DVD templates in different popular themes for premium customers. You can easily design a beautiful personalized DVD soon with Wondershare DVD Creator. With optimized workflow, all the functions are much smarter than before. You can burn videos or photos to DVD by one click with default DVD settings. You can edit all photos, adjust slideshow order, set transition and preview effects easily. With upgraded video editor, you can trim, crop video, add subtitles/watermark, apply effects easily and conveniently. with simple and stylish user interface, more importantly, you can find the useful tools and settings very easily.